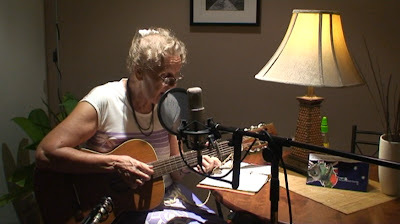 Artisan Kin Recording a release "By The Wayside" with producer Andrew Cochrane. First solo band rehearsal at Angel Studios since the CD release! With Leigh Doolan, Yuji Otaki & Ben (drum crew and photography). Chris Timms and band. Live recording at with Nathan Woodrow @ Tall Poppy Studios. 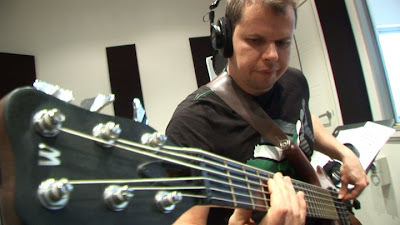 Bass solo written by Ray Kostiaien for one of Chris Timms tunes The Journey Home (Reprisal). Solo band photo shoot with Troy Stoilkovski. Ray Kostiainen, Leigh Doolan & Yuji Otaki. Artisan Kin "Lights Of The City" video shoot, and some of our first rehearsals and at Angel Studios. Yuji Otaki recording bass guitars to the solo album title track "Bow". 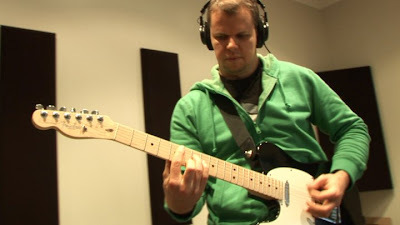 Ray is has recorded some guitar tracks for producer Dan Weekes from DW studios. Here is a demo for you to hear of Rays ambient guitar work. Leigh Doolan tracking drums today to "Free", a song from the Bow solo album. Recording Luke Power on drums for Keith Willie's CD "Rejoice". 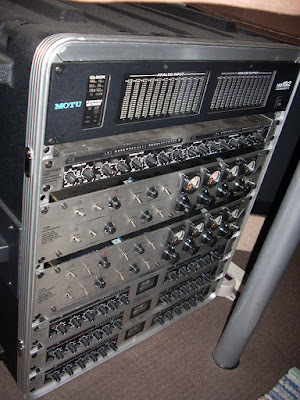 Tracking bass parts for "Sovereign", a track from "Bow" instrumental CD. Recording Kaisu Kostiainen's 4th CD at ROK-Music Studios. Recording bass & guitars @ Florea Productions for Roxana Tarau's CD. 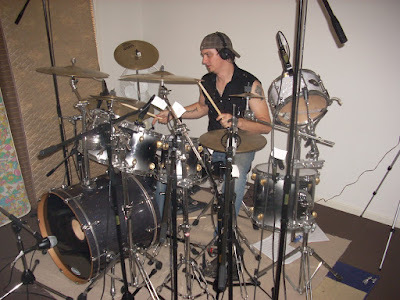 Recording Leigh Doolan on drums today for a song called "Broken Record", the updoming solo album titled "Bow". Debut recording of a Christmas carol. 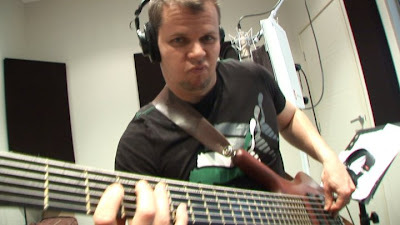 "Joy to the world", using Steve Morse's arrangement as a base. 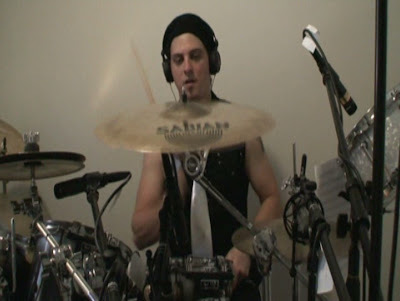 (Leigh Doolan drums, Ray guitars/bass/keys). Tracking Leigh Doolan on drums today to "Proclaim", a solo song of "Bow" solo album. Recording Leigh Doolan on drums for the band PK. 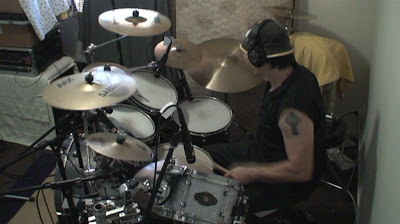 Recording Leigh Doolan on drums for "Sovereign", a track for the upcoming CD titled "Bow". Some photos from a band Ray use to play back in Spinning Silver. Chris Timms (guitars/backing vox), Marcus McLachlan (drums), Simon Griffiths (lead vocalist), Ray (bass/keys/backing vox).